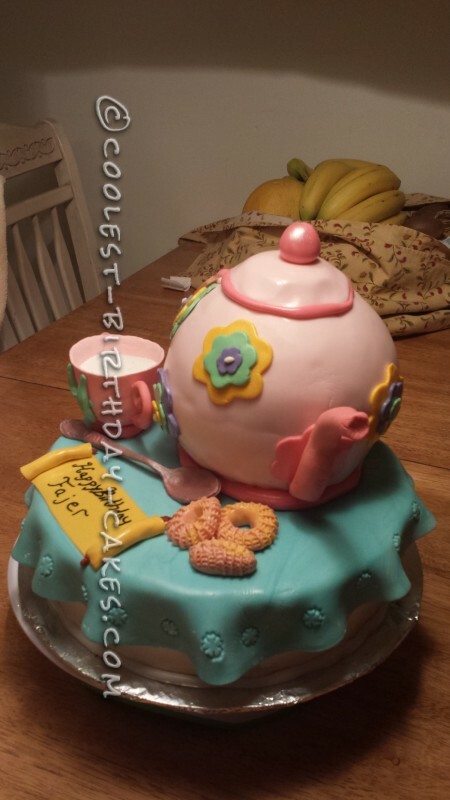 I made this cake for my daughter’s 4th birthday. 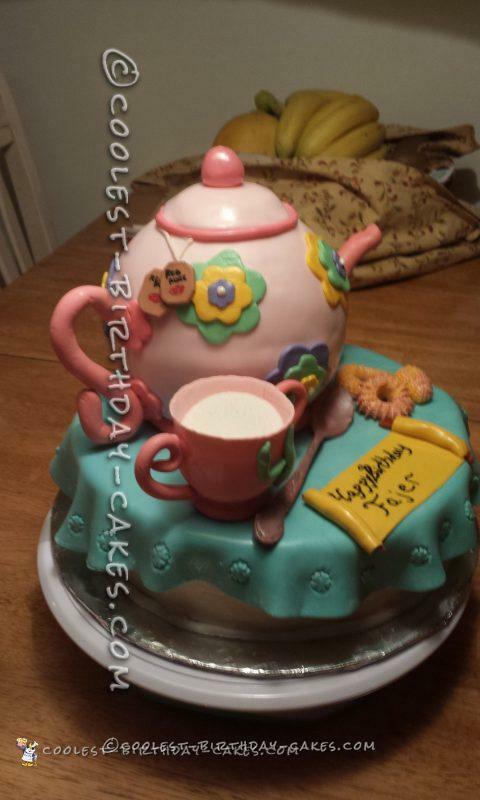 She really wanted a tea party. 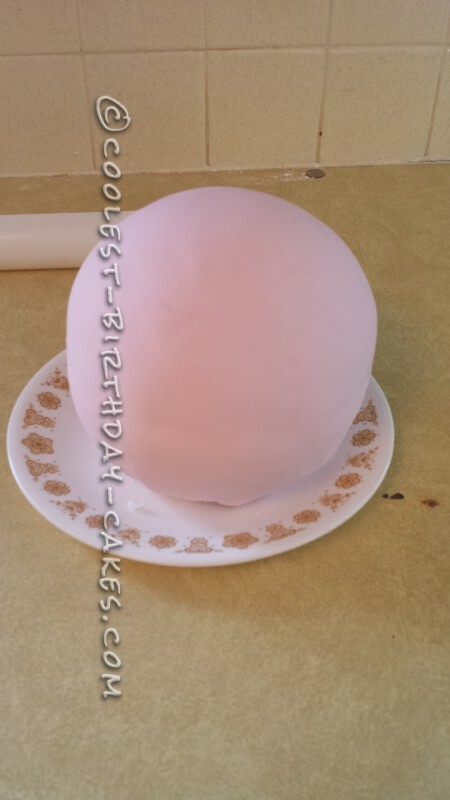 It was my first time using fondant, I really scared but everybody kept telling me that it was like play doh but tasted good. 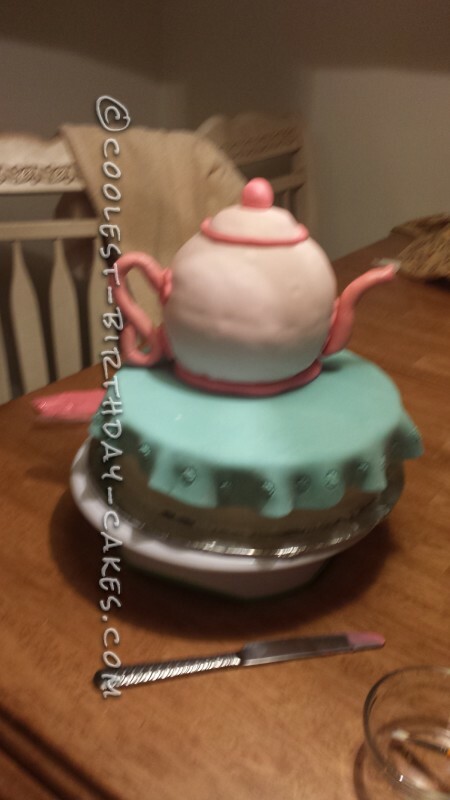 So I started with a basic chocolate sponge cake, and made it a 2 tier 10 in round. 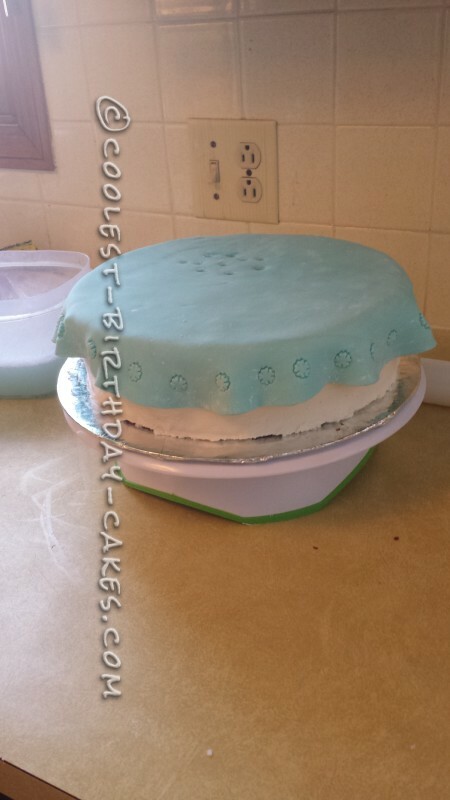 Then I bought the Wilton sports ball pan and made that out of yellow sponge. 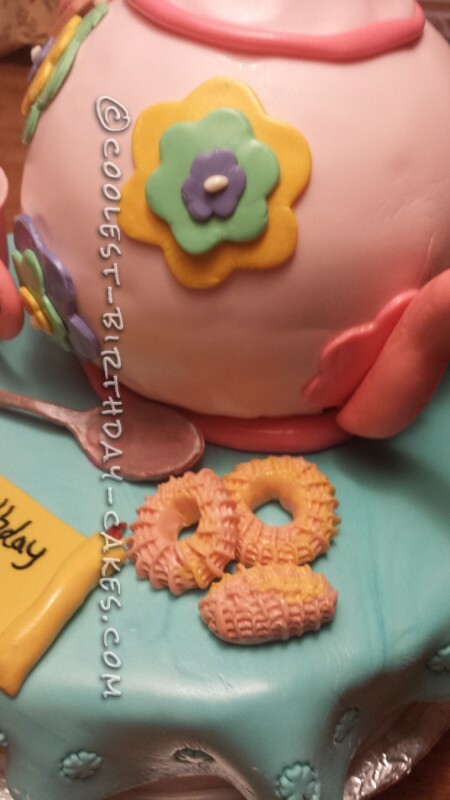 I had made the handle out of gum paste 4 days before a one they could dry. 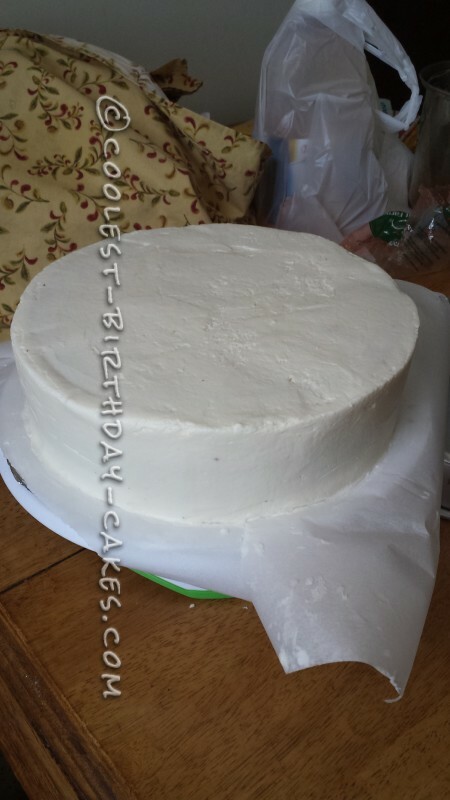 I frosted the round caked with white butter cream and rolled out fan dent for the table top, then I covered the round ball and add handle to it. 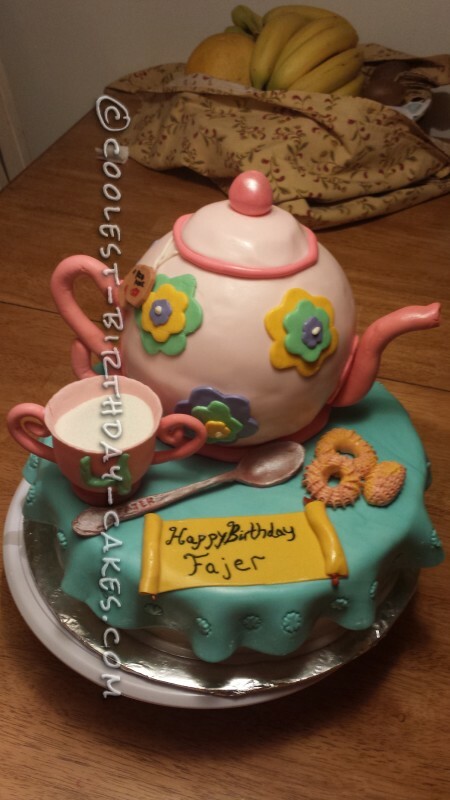 I had also made a spoon and a sugar pot and two cookies out of gum paste. It was really fun.